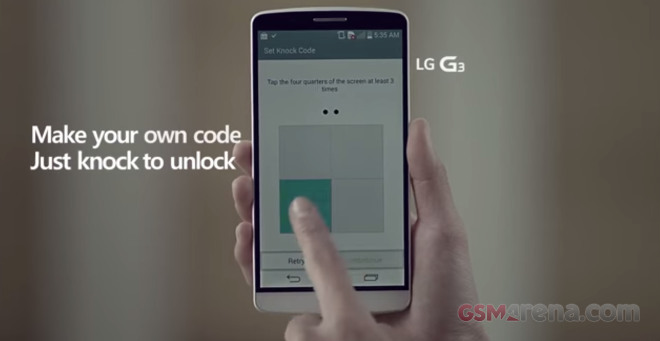 LG G3 launched four commercials advertising the company’s proprietary Knock Code. They tell about a family squabble that started after a woman succeeds unlocking the secure-locked Galaxy S5 of her significant other. You bet all of the awkward situations could have been avoided if the man was using an LG G3 with Knock Code security. Or, you know, if he told the truth. Even though the ads take jabs specifically on the Galaxy S5, they are still quite funny. Enjoy! You can check LG G3 specs here. Our review is available for you, too. Note that the LG’s Knock Code is available on other LG smartphones like the G Pro 2, L9 and L7.